Nickelodeon has announced that The Haunted Hathaways, their new supernatural comedy, will debut on Saturday, July 13th. The cable channel has ordered 20 installments to start. The series stars Amber Montana, Benjamin “Lil P-Nut” Flores Jr., Breanna Yde, Chico Benymon, Curtis Harris, and Ginifer King. Santa Monica, Calif. – July 1, 2013 – Nickelodeon conjures up some supernatural fun in the brand-new live-action comedy series, The Haunted Hathaways, debuting Saturday, July 13, at 8:30 p.m. (ET/PT). Created by veteran comedy writer-producer Robert Peacock (Reba, The Jeff Foxworthy Show), the scripted half-hour series features a talented ensemble cast and chronicles the journey of Michelle Hathaway and her two daughters Taylor and Frankie, as they move to New Orleans only to discover that their new home is already being occupied by a dad and his sons… who happen to be ghosts. New episodes of The Haunted Hathaways will air regularly Saturdays at 8:30 p.m. (ET/PT) on Nickelodeon, and will also be available the day after air on iTunes, Amazon Instant Video, Xbox Video, Vudu and other Download To Own storefronts. The Haunted Hathaways follows the adventures of a not-so-typical blended family. When Michelle Hathaway (Ginifer King) relocates to New Orleans, LA., to open a bakery with her daughters Taylor (Amber Montana) and Frankie (Breanna Yde), they quickly learn that life in the “Big Easy” is very different. Unbeknownst to them, their new home is already occupied by a ghost family comprised of jazz musician father Ray Preston (Chico Benymon), and his sons Miles (Curtis Harris) and Louie (Benjamin “Lil P-Nut” Flores Jr.). After agreeing to live under one roof, they come to care about and rely on one another while driving each other crazy– just like any normal family would. Though leery at first, the Hathaways soon discover how much fun life can be when living with ghosts. 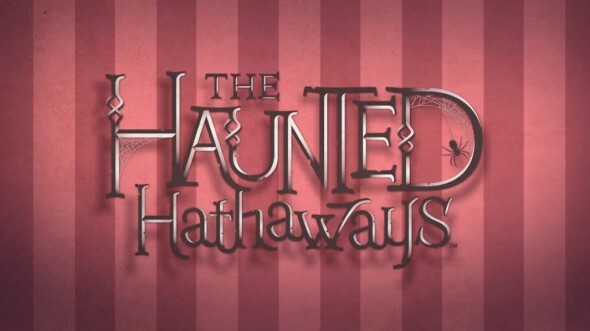 The Haunted Hathaways is executive produced by Boyce Bugliari & Jamie McLaughlin (Bucket & Skinner’s Epic Adventures). The two have served as writing partners for over a decade, most recently writing for TV Land’s The Exes and MTV’s Beavis and Butthead. They also served as writers and producers for Comedy Central’s Kid Notorious and their popular celebrity news parody The Showbiz Show with David Spade. What do you think? Does The Haunted Hathaways sound like fun? Will you check it out? More about: The Haunted Hathaways, The Haunted Hathaways: canceled or renewed?